When your teen doesn’t have their own car, you can add them to the family auto insurance policy. If your newly-passed teenage driver is going to drive your family car, it is important and legally required to get him or her insured. You can check with your local insurance agent to find out about the proper timing and to help make sure you’re mitigating your risks properly. Due to your teenager being a newly qualified driver, they are automatically marked as a high risk driver. As a group, teenagers pose a higher risk of accidents than more experienced drivers on the road due to their unfamiliarity of difficult driving situations and misjudged actions. Enroll your teenager in a certified safe driving course, and upon completion, a good driver discount can apply to the insurance policy. If your teenager is averaging good grades in school or college, many insurance companies will honor a Good Student Discount. 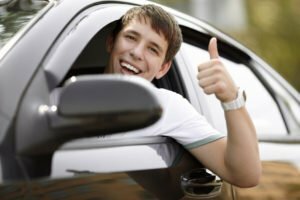 Now is the best time to review your auto insurance so that you ensure that your teenager is added onto a quality policy with sufficient coverage. Contact one of our agents at Pierce Insurance Group to discuss your options and find out how we supply each resident in McKinney, Texas with auto insurance suited for them and their family.